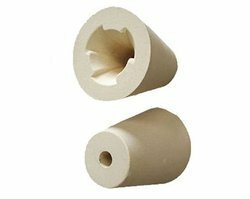 We, Imperial World Trade are supplying an extensive assortment of tundish nozzles which is mainly made up of paper, and non-swirling type nozzles etc. 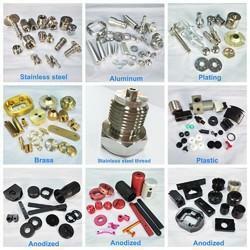 They are formed to achieve the highest corrosion and thermal shock immunity at high heat. 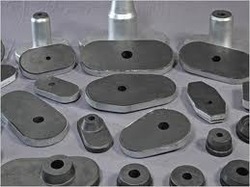 They are produced from zircon containing ZRO2 65% to 95% and alumina-carbon matter to accommodate casting requirements. They are proper for a single as well as series of heats. 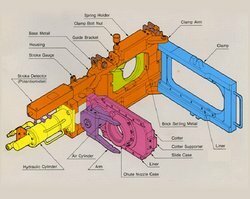 The ladle slide gate operation system is a crucial piece of flow direction apparatus in liquid steel casting. The service life of the slide gate delayed is a limiting portion to managing production and is hugely reliant on the type of slide gate mechanism worked. A new creation slide gate system is the key to managing higher late service life and hence greater potency and more practical service. 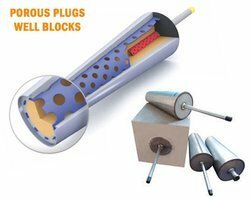 A porous plug is a significant ingredient in any steel developing process. As the name indicates, it is constructed by using porous raw stuff. These porous elements release tiny droplets over the surface of the molten steel to enhance its quality. We, Imperia World Trade is one of the leading producers and suppliers of Induction Furnace Power Supply elements. 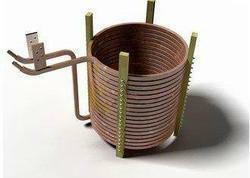 This induction furnace element formed in accordance with the worldwide status criteria. Our elements are produced with the guidance of superior architecture technologies. Our induction furnace energy equipment elements are widely apprehended for the key properties such as elegant pattern, smooth exterior shape, and huge warehouse capacity. 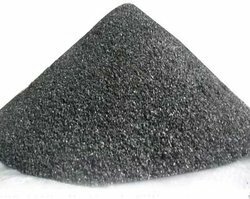 As it posses decided granulometry and high stiffs, it does not sinter while in contact with molten steel around 1600 degree Centigrade heat with the high thermostatic head when kept in a ladle nozzle well pit. Therefore, it appears into free flowing of NZ during the slide gate is removed and it comes out freely or with minor oxygen lancing building a very smooth stream from the ladle. We create and manufacture for completeness, our company is considered as one of the renowned and preeminent manufacturers and suppliers of Comcast Plant. Utilizing excellent quality materials and advanced technology, we are manufacturing a wide array of plants for our widespread clients. These plants are extensively used in the steel industry and well identified for their corrosion resistance, negligible maintenance, and high durability features. We are offering this Comcast Plant to our clients in different technical specifications. We, Imperial World Trade production is of top position Tundish Boards in the leading market. Tundish Boards are the excessive boards utilized to form an inner lining for constant casting tundishes. 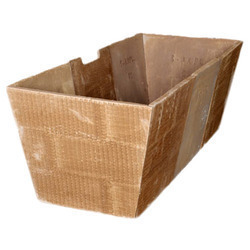 Our Tundish Boards help in conserving energy significantly and also diminish destruction of refractory in tundishes. The Tundish Boards also develops the quality of steel by producing fresh board lining whenever the tundish is changed. Looking for CCM Consumable ?